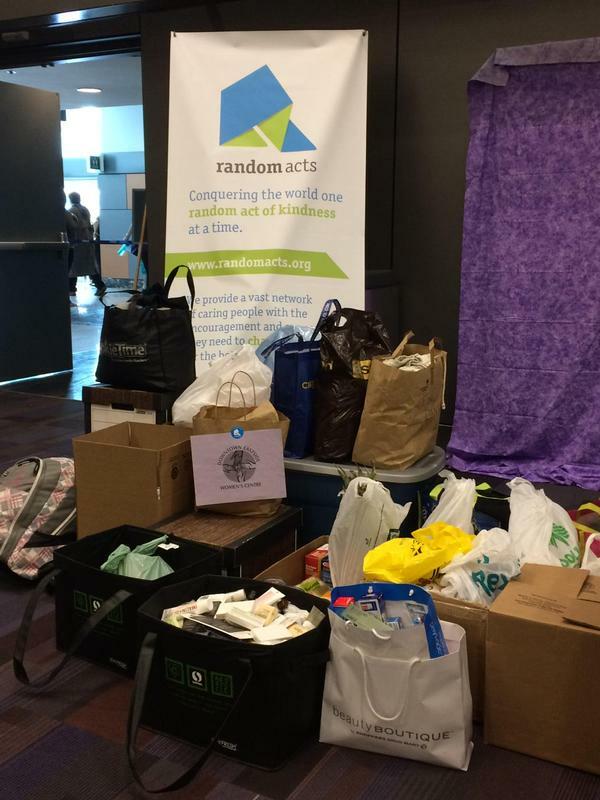 Help Random Acts Get Kind At #NashCon! 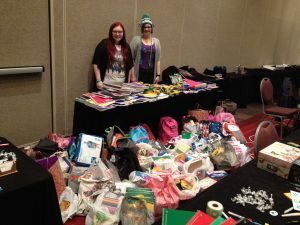 It’s only been a few weeks since our first convention stop of the season, but the Random Acts staff is already packing up and heading to Tennessee for Creation Entertainment’s Supernatural Official Convention in Nashville (#NashCon)! From February 26-28, Random Acts staffers Natasha and Jessica will be on hand in the #NashCon vendors room, collecting items for a local nonprofit. This time around, we’ve partnered with local nonprofit Mother to Mother, in the hopes that, along with our supporters, we might be able to do a little good. What is Mother to Mother? You may also bring along cards for the new moms currently under Mother to Mother’s care. 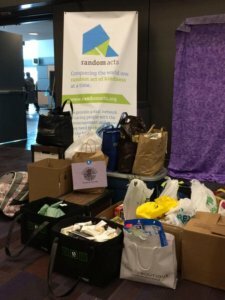 All items may be dropped off at the Random Acts table in the vendors room. What if I can’t bring an item to donate? That’s okay — we’ve got you covered! Throughout the weekend, staffers Natasha and Jessica will be working with supporters to write fun notes on bright colored sticky notes and cards to hand out to fellow con-goers or people at the hotel. It’s a simple, but sweet way to show love and kindness to those around you! Will there be an off-site activity? Yes! On Monday, Feb. 29, our staffers will be bringing along five volunteers to the Mother to Mother warehouse to sort the items we collected over the weekend and prepare the gift bags to donate to new moms at the hospital. Keep an eye on our social media accounts for more details as the event gets closer! I won’t be at #NashCon! How can I get involved? If you’re unable to join us in Tennessee over the big convention weekend, there are still ways you can get involved! Donate to a local charity in your community if you can and find out what the mothers and infants in your neighborhood need most. You can also donate to Mother to Mother online here. If you’d rather donate to Random Acts directly, your funds will go to help mothers and children across the United States and the rest of the world, through our various projects and programs. Find out more on our “Get Involved” page. Make sure to follow along with Natasha and Jessica throughout #NashCon by setting up your Twitter notifications accordingly — they’ll be updating supporters with the latest drawing announcements and project details all weekend! We can’t wait to see you there… let’s get ready to #GetKind!